As part of my job in assisting clients with financing of properties and related renovation costs I answer many questions. One frequent question asked is, “Will it be worth all the effort ?”. Meaning will it be a good financial move for them, will the project turn out pleasing them, will the renovation be a project that can be handled with little experience in renovating and so forth. I can’t definitely answer for everyone. What I can do is provide an example of how I have seen these projects unfold. Or in some cases not go forward for various reasons. 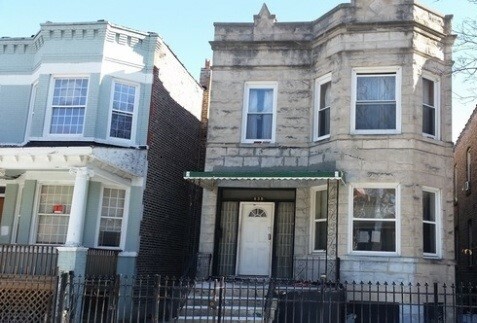 I’m writing today to provide guidance and insight based on my experience into how a 2 unit or as we call them in Chicago, a “2 flat” renovation may unfold. There may be reasons why purchasing and undertaking a rehab of a 2 flat would be something to consider. Even a first time buyer thinking of a condo or house may want to consider a 2 flat. The first piece of the puzzle is what type of financing is to be used. There are two choices, FHA 203K and Fannie Mae HomeStyle. I have written before to answer questions on each of these. For 203K questions please see https://perryfarella.com/2014/09/top-20-questions-buyers-owners-ask-fha-203k-renovation-loans/ . For HomeStyle questions please see https://perryfarella.com/2016/01/top-10-homestyle-rehab-loan-question-answers/ . Briefly the 203k option allows a minimum down payment on a 2 flat to be as low as 3.50 % of the combined purchase price and renovation funds. A great low down payment option if all the numbers work and the buyer qualifies for the mortgage. With HomeStyle the minimum down payment for a 2 flat is always 20% of the combined purchase price and renovation funds. For buyers with a larger down payment HomeStyle may be a better option than 203K. With a 20% down payment HomeStyle does not require any type of mortgage insurance. As where 203K always requires FHA mortgage insurance regardless of down payment size. 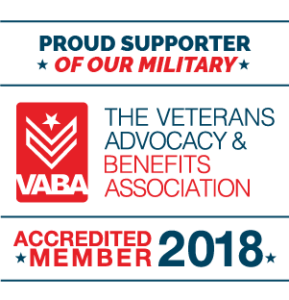 Each type of rehab loan requires at least a 10% reserve of the base rehab budget added into the loan to allow a cushion for unexpected costs encountered during the rehab work. If never used the reserve is subtracted from the final loan amount. Most of my clients have opted for the 203K low down payment option on a 2 unit purchase to conserve their cash. An example of a 2 flat purchase and renovation follows below. Before I present that I want to explain that not every situation may work on a 2 flat. The reasons may include the buyer didn’t qualify for the amount of funds needed to both purchase and do the remodeling or that the property didn’t appraise out with an “after completed” value that would support the necessary funds needed to both purchase and renovate the property, or it may be the project just became too big for the buyer to want to take it on after closer inspection, etc. 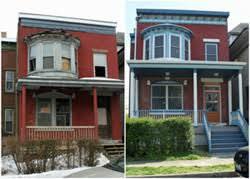 I advise caution in selecting a 2 flat to rehab in terms of checking to learn if the proposed sale price will really allow X dollars to be spent to remodel the property and then allow for an “after completed” appraisal value to accommodate the loan size needed. In each type of renovation finance option we will provide the Contractor’s work proposal to the Appraiser to then calculate a valuation of the property based on what it will become with the renovation work described by the Contractor. We call this “after completed” value. I have seen cases where a buyer agreed to pay more for the building than it was really worth in present condition. Then the “after completed” appraised value was not much higher and so did not allow the loan to advance to approval. In some cases it may be that properties are just overpriced to begin with or it may be the buyer just agreed to pay too much, or the valuation of a property may come back lower than expected because the size of the property was smaller than what similar properties locally had sold for based on square footage. It is advised that you take a bit of caution and cover the bases before making an offer regarding a purchase with a rehabilitation loan. An example of buying and rehabbing a 2 flat might go like this: Buyer pays $265,000 for a typical brick 1920’s Chicago 2 flat. The building has not been updated in decades. It was a foreclosure and was empty. The buyer wants two new kitchens, two new bathrooms and a separate forced air HVAC system for the apartments, built in laundry and a new roof. Each of the two apartments will be identically renovated. The basement is to be cleaned of debris and the old heating system removed but otherwise not finished. Let’s say that all this work is projected to cost $135,000 (including the 10% Reserve). The total transaction is the sum of both or $400,000. The FHA 203K down payment is at minimum 3.50 % or in this case $14,000. With HomeStyle the down payment is 20% of the total or 20% of $400,000 which is $80,000. See the difference in the two loan options ? Assume also the “after completed” appraised value is $400,000 or even perhaps more. In my opinion this is one of the greatest advantages of buying a 2 flat – the low FHA 203K down payment. The other advantage is the second apartment will be generating rent money when leased to tenants. That rent money is projected by the Appraiser based on a survey of area rents in similar buildings. In the Chicago area FHA allows 85% of the gross rent to be used as income to help the buyer qualify for the size mortgage needed. 100% is not used since there may be a vacancy each year or ongoing maintenance costs. In this example let’s assume the rent is to be $1700 a month. 85% of that is $1445.00. The Principal & Interest payment is $2000 a month plus $400.00 for property tax escrow, $100 for house insurance and $274.00 for FHA mortgage insurance. The owner’s total monthly payment is the total of these or $2774.00. To qualify for this size payment FHA allows the net rent of $1445.00 to be added into the owner’s income each month. The owner is realizing a gross rent of $1700.00. The owner then has a personal cost each month of the difference or $1074.00 per month. In this example we see the owner has a property worth what has been put into it. It is entirely possible the appraised value can be higher than what has been spent to acquire and rehab the property. We see the owner enjoying a living space that can be leased for $1700.00 but really is costing the owner $1074.00 to occupy. The tenant rent is paying 61% of the monthly cost. The owner controls a property fully rehabbed and ready to appreciate as time goes by. To contrast this 2 flat example with one where a buyer opts to purchase a $200,000 condo with a $200.00 monthly assessment with a 5% down payment, $300 a month tax escrow, $40.00 a month for condo owner’s home owner insurance and private mortgage insurance. That cost might be some $1600.00 a month for the average buyer. This condo cost is why I’m an advocate of first time buyers considering a 2 flat instead of a condo. In these situations we will sometimes do another appraisal after the construction has been done for a period of time. It is possible there may be additional equity created beyond what was originally projected at the start of the process. If enough “hidden“ equity has been discovered to where the owner has a 20% equity position I will the propose a refinance out of the 203K loan into a conventional 80% mortgage. The reason why is to remove entirely the monthly mortgage insurance cost. In this example that is $274.00 a month. My point is that a renovation may be a two phase process. One phase is the construction and the loan to do that. The second phase is to refinance into a non-construction loan to remove mortgage insurance or even to lower an interest rate. Below are pictures of what such renovations may look like. Please send questions and comments any time !